Projector or large display for presentations with available HDMI, VGA, Chromecast, or Wi-Fi connections. Day offices all have a view of Historic Market Street, Centerway Square or Centennial Park. Speakerphone or H.323-standard videoconference equipment available. CATALYST has built-in LCD projector with audio and large screen,and can be configured as a classroom, boardroom, theatre or in training huddles. Furnished with comfortable Stylex® BOUNCE chairs, modular tables, and counters for refreshments and materials. Projector can display up to four screens at once—great for sales,strategic or web development sessions. ENCLAVE is a formal boardroom, seating ten with room for more.Equipped with LCD TV and available H.323 videoconferencing system. Has available breakout rooms for huddles and negotiations. RAINMAKER can be configured as an office or meeting room for six. Furnished with large LED monitor and convenience printer. Ideal for contract signings,videoconferencing, strategy development, and consultation meetings. An OFFICE can be ideal for small meetings and remote telepresence. Equipped with large LED monitor and convenience printer, with optional H.323 videoconferencing system available. 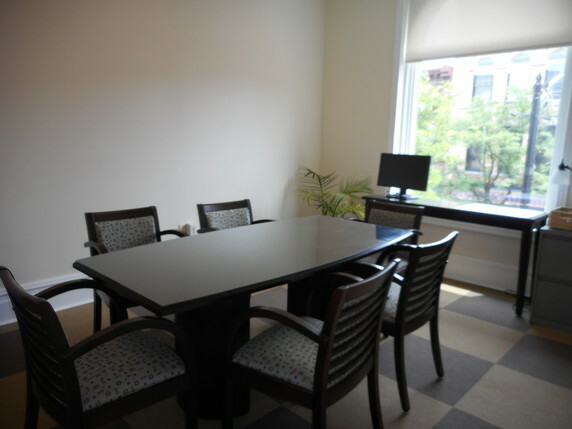 Enclave Boardroom 10 $50 1 hour Includes HDTV, corner-office view of historic district. Private Day Office 3 $40 1 hour Includes large LCD monitor, large window with view of town square or historic district. 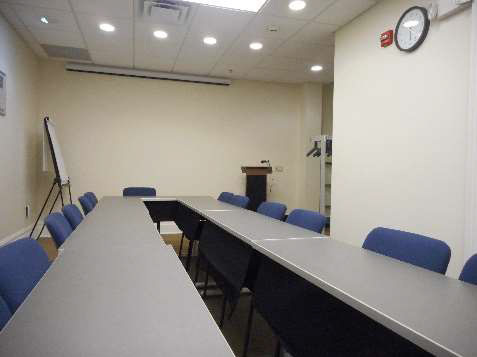 RainMaker Conference Room 6 $145 $240 Includes WiFi, large LCD monitor, convenience printer, view of historic district. Enclave Boardroom 10 $190 $350 Includes HDTV, corner-office view of historic district.